All the leaves of one bunch of our basil. Puree in cusinart. Then add an additional, small handful of chopped walnuts to add texture. Stir over pasta, serve immediately. 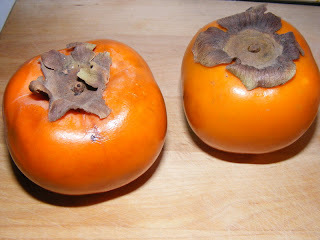 It's not even related to a tomato, it's a persimmon! Hardly a recipe, but applesauce is so easy, it's really not worth ever buying. Peal your apples, squeeze a little lime juice, drop a couple drops of stevia if you think it needs to be sweeter (make sure you get the good stuff that isn't cut with sucrose or other additives; get the pure stevia extract) and put everything in a Cuisinart. Puree. I buy little disposable containers from Smart and Final and add these little treats to my kids' lunches. As many have been challenged by recent economic issues, Morning Song Farm's CSA program lost 25% of its supporters this last month. Wow! We sure are passionate about continuing our CSA program, but do need our local community's support. I thought perhaps I should consider offering a Laguna Beach, Hungtington Beach or Orange drop off. If anyone has a friend or organization that might be interested in joining or hosting in those communities, please let us know. What a scorcher of a week! Fruit photo at right is a Fioja Guava. Some people slice long ways and scoop out the contents. I like the spicy skin and eat the whole thing. Try it both ways and see what you think. 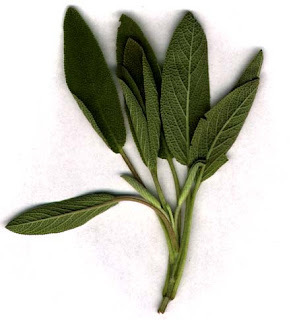 Photo at right is sage, which you'll find in your baskets as well this week. The garlic is another heirloom, and is medium hot, and fairly easy to peel. Either churn your own butter like I do, or buy butter and toss a cube in the Cuisinart. Add a couple cloves of garlic and salt to taste. Puree. Remember that garlic adds "heat" to a dish, as well as the familiar garlicly taste that at least I'm addicted to. So add as many cloves as you like to your butter as it's being pureed, but make sure you don't overdo it. If you do, just add more butter.